FYI's Man Vs. Child: Chef Showdown Contenders Zion Otaño and Isiah Greene are here to help you throw down in the kitchen for Christmas. Don’t let his size fool you. 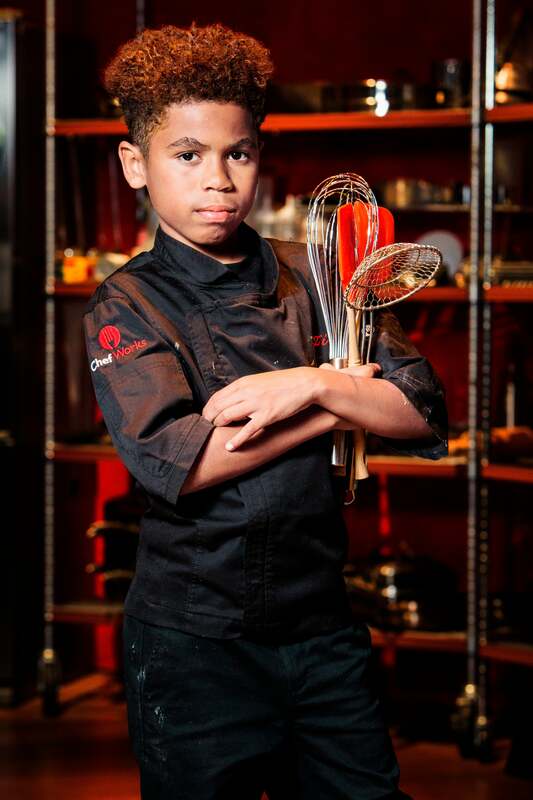 Fifth-grader Zion Otaño throws down in the kitchen, from sushi to salmon croquette benedict. In a bowl, blend oil and sugar, then add eggs. Mix in cocoa, vinegar and food coloring. In a separate bowl, add flour, baking soda and salt. Alternate pouring a cup of the dry ingredients and some buttermilk into cream mixture. When finished, add vanilla extract. Mix well. Ladle batter into cookie cutter placed on hot buttered griddle or large skillet. Cook 3 to 4 minutes, or until the top is covered with bubbles. Turn and cook for 3 to 4 minutes, or until done. Place each pancake in a single layer on a baking sheet, and keep warm in a 200°F oven for up to 30 minutes. 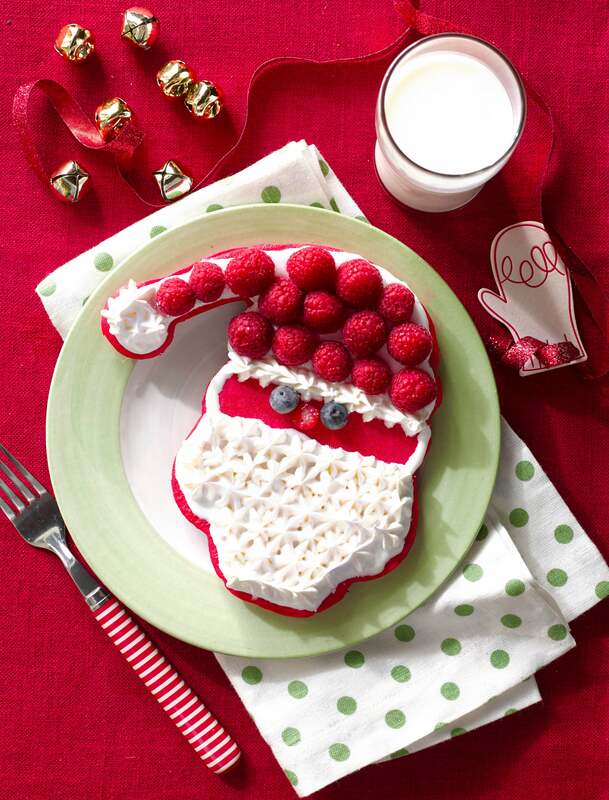 To decorate Santa’s face, use whipped cream for the beard, blueberries for the eyes, and raspberries for the nose and hat. 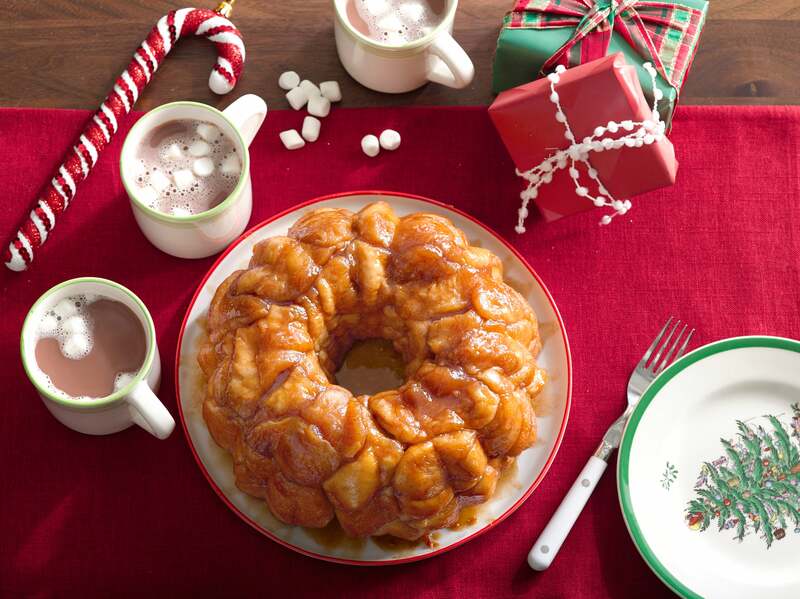 Serve with Sweet Cream Cheese Glaze. Dice steak and then massage with paprika, apple, zest, juices, chopped garlic and porterhouse seasoning. Place in a ziplock plastic bag and refrigerate for an hour. Afterward drizzle olive oil on a hot grill. Dump ingredients from bag onto it and lightly sear steak. Transfer to a plate and set aside. Heat oven to 350°F. Beat eggs, milk, salt and pepper in medium bowl until well blended. Add cheese, steak, bell pepper and onion. Mix well. Spoon evenly into 12 greased muffin cups, about ¼ cup each. Bake until just set, about 20 to 22 minutes. Cool on wire rack for 5 minutes. Remove from cups; serve warm. 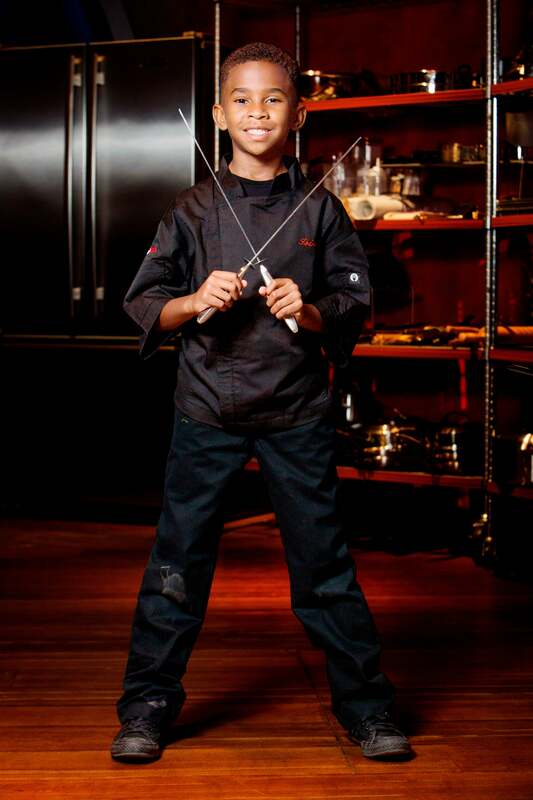 Sixth-grader Isiah Greene fell in love with cooking while helping his mom and grandmom when he was 3. Place shrimp, Worcestershire sauce, pepper, creole seasoning, garlic and 1 tablespoon water in a 10-inch stainless steel sauté pan. Squeeze juice from lemon over shrimp, and add rind and pulp to pan. Over high heat, cook shrimp while gently stirring and occasionally turning pieces. After about 2 minutes, shrimp should start turning pink on both sides, indicating they are nearly half done. Add 2 tablespoons water to pan. Reduce heat to medium-high and gradually add butter to pan. While turning shrimp occasionally, swirl butter pieces until they are incorporated into pan juices, the sauce turns light brown and creamy as it simmers, and the shrimp are cooked through, which takes about 3 minutes. Do not overcook shrimp. Remove from heat and set aside. Bring chicken stock to a boil over medium-high heat. Stir in grits. Cook, stirring occasionally, 5 to 7 minutes or until thickened. Remove from heat. Add heavy cream and cheese. 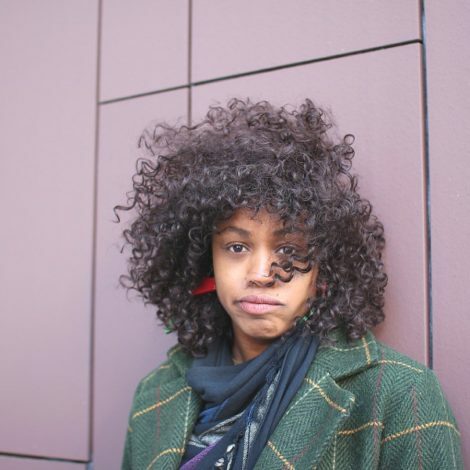 Set aside, and keep warm. (Don’t let grits sit too long.) 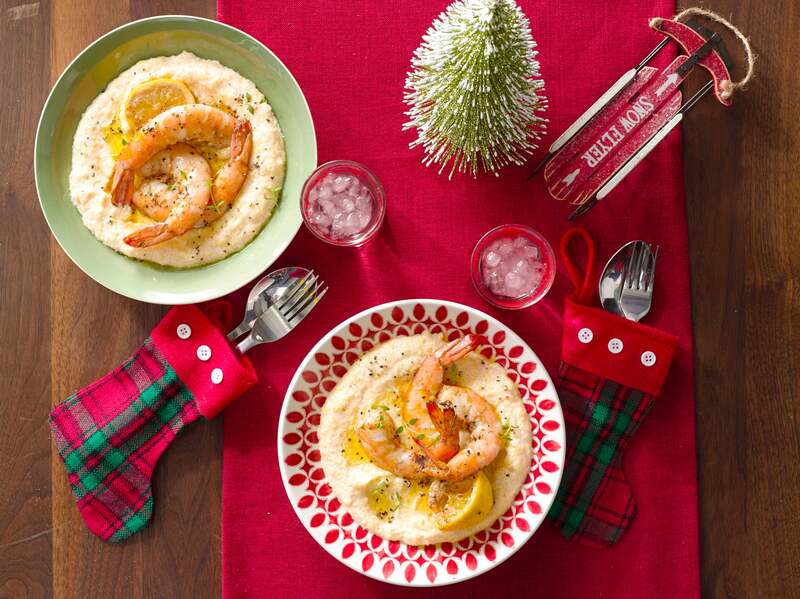 Serve shrimp over grits in bowls. Preheat oven to 350°F. Grease a Bundt pan with butter. Mix sugar and cinnamon in a plastic bag. 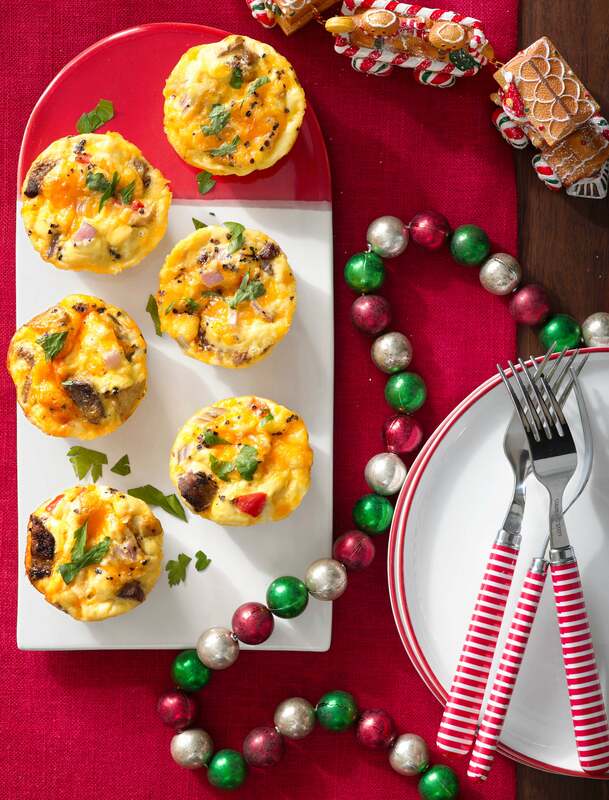 Slice dough into ½-inch-thick pieces, then cut each into quarters. Place pieces in bag with mixture and toss until coated. 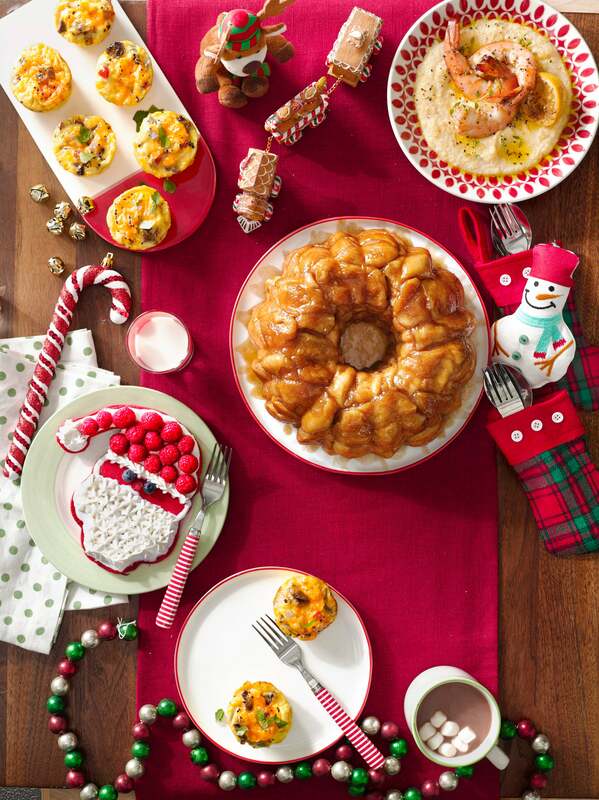 Arrange dough in Bundt pan or use a cupcake pan to make minis. In a small saucepan, melt butter and brown sugar over medium heat. Add eggnog. Gently stir and bring to a boil. Slowly pour mixture over dough. Let rise for 30 minutes in a warm place. Bake for 20 to 25 minutes. Let bread cool for 10 minutes, then turn onto a plate. Do not cut. The bread pulls apart. Eat, eat, eat!